Business Letter Formats vary significantly based on the author and the intended recipient of the letter. Not only does the structure and format of the business letter change but also the tone and language used to write the letter changes. These letters are addressed to a superior or to a higher office within or outside your organisation. The tone is generally kept assertive, formal and the letter serves the purpose of putting up your case for consideration in some matter of importance to you. A typical client to business type letter is made up of three main parts in which the client or the applicant presents his or her case for consideration. These letters are mostly written in the Block Format for Business Letters and may be emailed or personally delivered. The letters that come under this category are as follows. 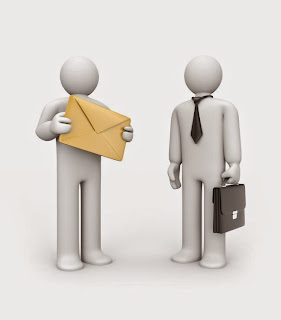 Application letters are business letters requesting action in response to a request made via the letter. Most of will write several application letters during our professional life but carefully formatting your application letters will lead to better results and you just might get that well deserved vacation leave approved. Typical application letters range from Job application letters, leave application letters of simply application for a transfer or a recently opened position within your organisation. When you are looking for a new job or simply want to stay competitive, it is very important to format a perfect resume. Your resume is your passport to a well deserved job opening. It is usually the first screening barrier to cross in order to get you job application in front of the interview panel. Check out the latest resume formats suited for your level of experience. When you are fresh out of college and looking for your first job, your curriculum vitae tells the recruiter about your achievements in college and why giving you a break will be a right decision for the organisation. CV Formats are meant to give a brief snapshot of your professional accomplishments and trigger a conversation about how your skills will make profit for your potential employer. While a Resume or a CV is all about you, a Cover Letter is about your potential employer, more precisely, about how you are the best candidate for the current position at the organisation. A Cover Letter accompanying your job application and resume goes a long way in improving your chances of landing that job ahead of your competitors. Cover Letters are always customized and written in response to a vacancy. Check out the best Cover Letter Formats here. This is generally writing along with an university application or for the purpose of higher education or internal assessments. Increasingly many institutes ask applicants to submit a statement of purpose or an essay or argument analysis to evaluate the individual’s acumen to reason and analyse a given situation. As you grow in your career, so does your network and this network is your greatest advertisement dossier. Many employers will ask for a reference letter or a letter of recommendation from your previous manager for professor at the university to evaluate your past performance. And many ask you to recommend them too. Check out formats for both here. Is there anything that we missed or if there is a particular business letter format that you want us to cover, do let us know via the comments section below.